Yes, it’s the annual Pro/FanTrivia Match, and it’s going to celebrate its 20th anniversary this year at 4 p.m. on Sunday in Room 4. Driven by Super Silver Age Fan (among many other things) Tom Galloway, the contest was first suggested by comics creator Len Wein, who is a huge game show fan. Galloway loves it. 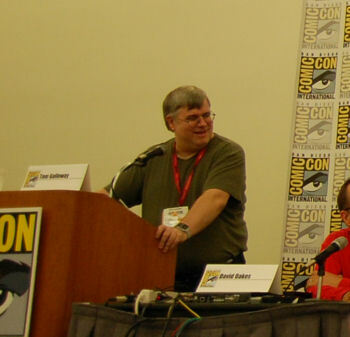 In addition to Len Wein and Anthony Tollin on the pro side this year, Mark Waid will be returning after a few years off. Note he said one, because he and Galloway are pretty evenly matched on trivia knowledge. Galloway is the only person to have beaten Waid in the match, so for the 20th anniversary, the stakes could be high. Where they don’t conflict, though, is on the best running gag of the panel. The two should probably watch out, because Wein shared at WonderCon that he has been taking improv classes, so he could take the trash talk to a whole new level. This year’s scheduled contestants will be Len Wein (creator of Swamp Thing and Wolverine), Mark Waid (Daredevil, Thrillbent), and Anthony Tollin (Sanctum Books publisher) as the Purple Pros facing the fan Black Ink Irregulars Tom Galloway, David Oakes, and comics journalist Peter S. Svensson. But pros have been known to drop by, which is how Davis — Master of the Universe, co-founder of Milestone Media, and co-creator of Static Shock — ended up competing last year. Fanboy Planet EIC and podcast host Derek McCaw will try to keep a lid on things as we run through questions focusing on characters celebrating an n5th or n0th anniversary, such as Robin, Shazam!, Catwoman, Joker JSA, JLA, All-New X-Men (Wein wrote the first couple of issues), Medusa, Hydra, and many more. Tom Galloway will also be interviewing Paul Levitz about his three separate long runs writing the Legion of Super-Heroes for DC on Thursday, July 9 at 5 p.m. in Room 9. Mark Waid will also be appearing on the Marvel: All-New All-Different Avengers panel on Friday, July 10 at 12:45 in Room 6BCF, as well as the Marvel: Cup O’Joe panel on Saturday, July 11 at 2:45 also in Room 6BCF. 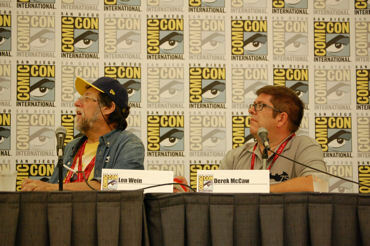 Len Wein will also have a table in the Exhibition Hall, HH-08. 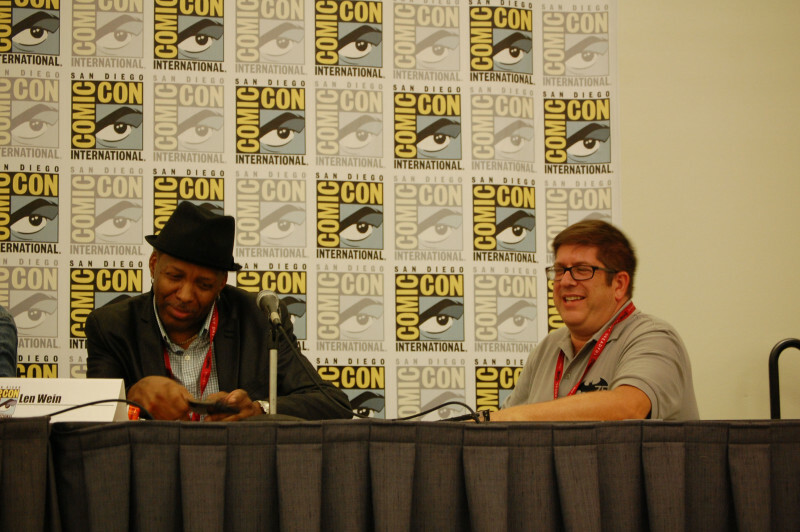 Michael Davis will once again host the legendary Black Panel on Friday, July 10 at 10 a.m. in Room 5AB. Derek McCaw will be wandering around. Say hello.